Within the UK, car tracking devices are on the rise with more drivers using them to retrieve their vehicles, a safety device for vulnerable or young drivers or to be able to cover their insurance policy. 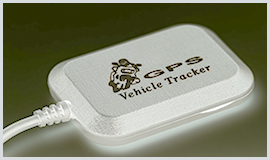 It's evident that the addition of GPS car tracking devices benefits every car owner greatly. The reason for this is UK Car Tracker's car tracking devices that enable you to see where your car is anywhere, anytime. Saving money, efficiency and convenience are among the reasons why a lot of drivers are buying GPS car tracking devices. Moreover, the safety aspects have been invaluable in monitoring vulnerable or young family members. The fact of the matter is UK Car Tracker's GPS car tracking devices are the most user friendly and most accurate means that practically anyone can use them and enjoy the many benefits. With free next day delivery, yours will arrive set up and ready to use. The easiest wired in tracker to use and install on the market is the Pro Fleetman GPS tracker. In less than 10 minutes of installation, the GPS tracker will positioned covertly in your car, out of sight and for additional strength, you will receive GPS antenna. The benefit of using a magnetic GPS car tracker enables you to interchange on any of your assets or cars at a moment's notice. For instance if you place a tracker on your teenage daughter's vehicle in order to monitor her driving patterns, location and speed. You can log in via your laptop, desktop or any smartphone or tablet. At any moment, your free tracking app will show you the exact location of your vehicle and you can also go through your tracking history and see previous speed, date, time and location. You can receive warning alerts directly to your phone, by setting up safety zones/geo fences. Around your property border, you can set up a geo fence where your vehicle is stored/parked. You will receive an instant alert, if your vehicle crosses this border without your permission, enabling you to take immediate action. You can set up geo fences in areas you do not wish your vehicle to be and you can also set up as many geo fences as you feel are necessary. If a young driver enters a dangerous area, you will receive a notification provided that you have alerted them not to enter.